The Independent Order of Odd Fellows was a secret fraternal society founded in England during the 18th century. The first lodge in the United States was organized in 1819 as a benevolent club to aid widows and orphans. 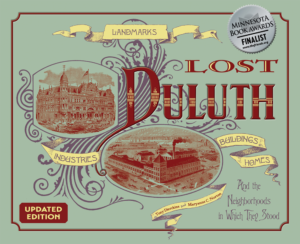 Duluthians established an Odd Fellows lodge in 1870, and by the time their headquarters was constructed their rolls had grown to 155 members. Twelve years after the building was constructed, enrollment was said to be over 1,000. Duluth’s brick-and-stone Odd Fellows Hall was designed by architect Oliver Traphagen, himself a member of the Odd Fellows (when he moved to Honolulu in 1896 he joined a local chapter and in 1904 designed that city’s Odd Fellow’s Hall). The red brick Romanesque Revival building had a square tower with a balcony and pyramidal cap, arched windows, a granite entrance arch, and a profusion of carved stone symbols on the Lake Avenue façade. 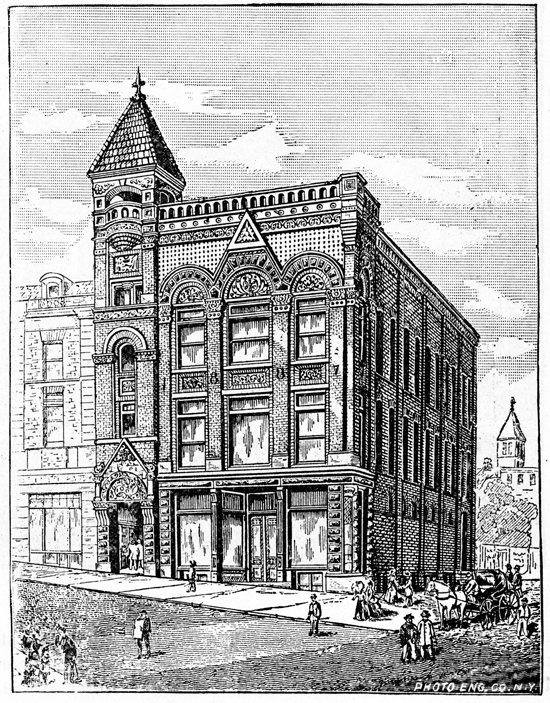 The Odd Fellows meeting rooms were on the third floor; the Duluth, Missabe and Iron Range Railway offices occupied the second, and retail stores were located on the first. The Odd Fellows left the building about 1917, after which it became home to furniture stores, including Whelan-Linck in the 1920s and ’30s and Rudolph’s in the 1950s. By the 1970s the Odd Fellows building sat vacant; it was demolished in 1975. The lot now contains a portion of a parking ramp.